Still grieving the loss of her wandering, free-spirited mother, Lucy Kincaid leaves Nashville for the faded coastal town of Cape Hudson, Virginia. 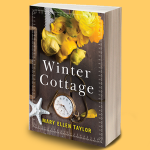 She goes to see Winter Cottage, the house she’s inherited—one she never knew existed, bequeathed to her by a woman she’s never even met. At the heart of this mystery is the hope that maybe—just maybe—the trip will answer the endless questions about her mother’s past…including the identity of her birth father. 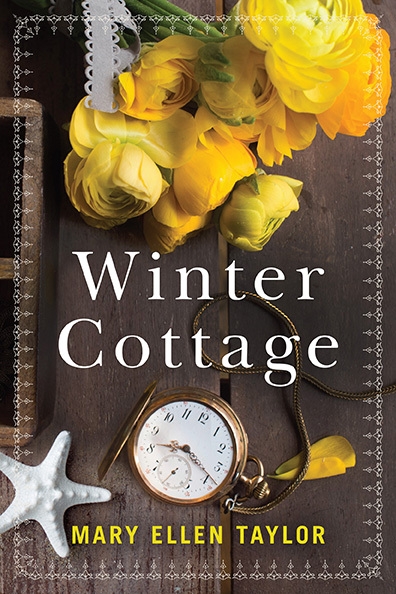 Rather than the quaint seaside bungalow Lucy expected, Winter Cottage is a grand old estate filled with shadows big enough to hold a century of secrets, passions, and betrayals. It also comes with a handsome and enigmatic stranger, a man next in line to claim Lucy’s inheritance. Now, as Lucy sifts through the past, uncovering the legacy of secrets that Winter Cottage holds, she learns more about her family history than she ever expected. To her surprise, she also begins to discover more about herself, and realizes that she may have finally found the one thing she’s never really had: a home. Lucy Kincaid arrived with a nor’easter pressing against her back, its sharp, cold winds heavy with the scents of Tennessee whiskey, smoky honky-tonks, fried and glazed doughnuts stuffed with chocolate custard, burgers cooked on a greasy griddle, and the sickly sweetness of death. The icy fingers of the storm’s remnants brushed her cheeks, startling her awake from a restless night’s sleep. Hand to her face, she glanced into the mist rising over the tall reeds by the swirling waters of Chesapeake Bay. She was in her Jeep, parked in the spot she’d chosen in the early-morning hours. Beside her was Dolly Parton, her mother’s two-year-old German shepherd, nestled under the blanket, sleeping peacefully. The back seats were packed with everything she owned: a duffel bag full of clothes, sketch pads, her mother’s guitar, a sleeping bag, and a grocery sack filled with sodas, peanut butter, and bagels. In between the seats lay the scuffed wooden baseball bat, dubbed the Peacemaker, and beside it, the metal urn that held her mother’s ashes. When she’d crossed the seventeen-mile Bay Bridge–Tunnel, driving toward the Eastern Shore shortly after two in the morning, the waves were choppy, and the gusts had forced her to slow and turn on her hazards. In the middle of the bridge, over an expanse of water and under a blanket of stars, she’d felt as if the universe were daring her to turn back. But if anything, Lucy was stubborn, and she never shied away from a challenge. Once on shore, it’d been too late to find the man she’d come to see, and she’d been too broke for a motel room. A barren stretch of road beside a barn near the bay had had to do. When she shut off the engine to save the last of her gas, she’d discovered that without the heater running, the air in the Jeep quickly chilled. Under the light of a full moon skimming choppy waters, she’d covered Dolly and herself with her mother’s large, worn quilt and tried to sleep as the rain beat against the car. Lucy shuddered, wrapped the blanket closer, and stared at the orange-gold sunrise as it nudged above the waters stretching to the horizon. The rains were gone, and fresh light danced over the tips of frosted seagrass bending to wind that teased the rippling waters of the bay. Dolly raised her head and snorted before returning to the warmth of her blanket. “We’re going to have to love it. It’s all we’ve got for now.” Her mother’s medical bills had drained Lucy’s savings, leaving her with a hundred bucks in her pocket, a quarter tank of gas, and the best possibility of a job a thousand miles away in Nashville. To uproot her life and just start over, even for a little while, was insane and the kind of thing her mother had often done. She glanced toward the tarnished secondhand urn the funeral director had sold to her for thirty bucks. There was a large dent in the top, which had something to do with a dispute between two wives and one dead husband. The urn’s dramatic history would have appealed to her mother, and the price had been right. Her mother had died two weeks ago of brain cancer. She had never been sick a day in her life, so she’d chalked up her first migraine to the half a bottle of rye whiskey she’d drunk the night before. Not enough sleep had explained the next one away. The third had crippled her for days and driven her to call Lucy, who’d been managing a bar on Lower Broadway in Nashville. The emergency-room visit had led to an MRI neither could afford and a doctor’s devastating news. The tumor had been malignant and inoperable. Lucy had given up her place and moved into her mother’s small apartment in November. She’d administered painkillers, comforted her mother, and waited for the end. On their last day together, Beth had stirred. Her eyes had opened and focused on Lucy as they hadn’t done in days. “You know I will.” Lucy reached for an extra blanket and covered her mother as Dolly nestled closer to her thin frame. As death circled closer, her mother was growing more anxious about the dog’s fate. Other than Lucy, Dolly was her best friend. Her mother winced and struggled to catch her next breath. Lucy reached for the bottle of prescribed morphine. A few drops on her tongue relieved the panic that came as her body shut down. Lucy lifted the mattress and found the large manila envelope lying beside a crumpled cigarette pack and a taco wrapper. Lectures about eating well and not smoking had long passed, so she simply scooped up the envelope. The letter was from Henry Garrison, Cape Hudson, Virginia. A real home. At twenty-nine, she didn’t know what the hell that meant. Now rolling her stiff neck from side to side, Lucy pulled a rubber band from around her wrist and wrapped her hair into a ponytail. Why hadn’t her mother told her about Virginia? Why the secrets? Her mother had always prided herself on brutal honesty. Told it like it was. Shot from the hip. “Why the lie?” Lucy tightened her hands on the steering wheel, wishing for just a few more minutes with her mother.